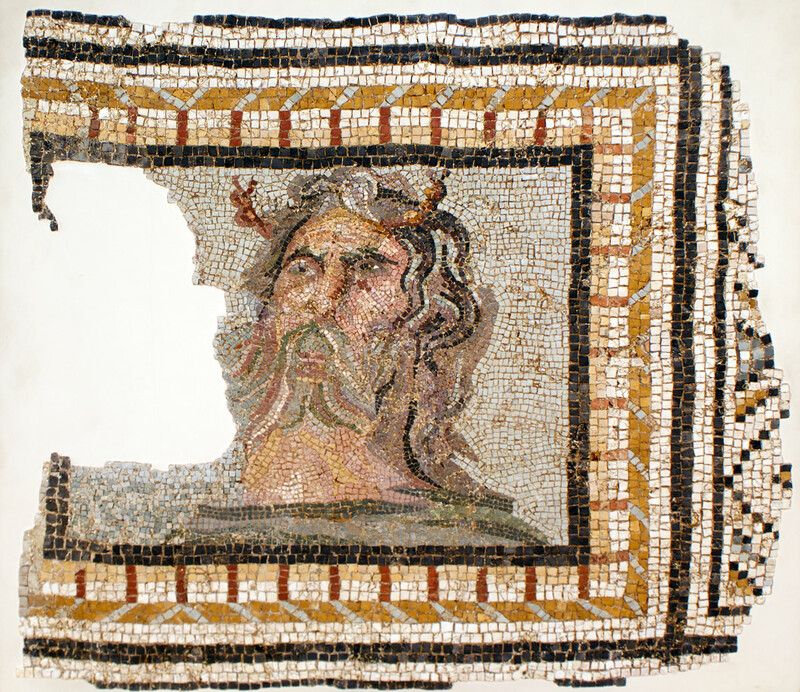 ROMAN RECTANGULAR MOSAIC WITH THE HEAD OF OCEANUS; the personification of the ocean, against a blue background. The divinity had abundant wavy hair around his face, with one large tuft rising above his forehead, a long mustache that merges into his hair, and a full, layered beard. Emerging from the top of the divinity’s head are two opposed lobsters, identifying his as Oceanus. The panel is framed by double rows of black tesserae with a decorative border of cubes seen in perspective. To the right is a remnant of a geometric design. Cf. 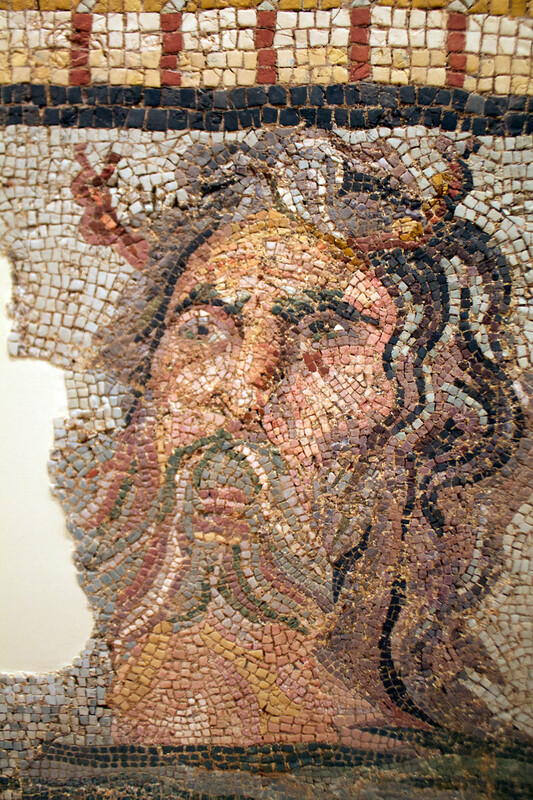 mosaics in the Bardo Museum, illustrated in Michele Blanchard-Lemee et al., Mosaics of Roman Africa: Floor Mosaics from Tunisia (London, 1996), figs. 80 & 84, pp. 120 & 125. Published: Fortuna Fine Arts, Timeless Treasures (2010), cat. No. 40.